Located on a quiet cul-de-sac off of Forest Ave known as Fox Run, this sun-filled contemporary cape sits on 1.66 acres of land. The cathedral ceilings and numerous windows throughout the home, allow the natural light to effortlessly fill the house. On the first floor, you will find hardwood floors, a beautiful floor to ceiling fireplace, dining room and a massive great room. There is a great mix of formal and informal space. The great room has a second fireplace and slider doors that lead out to the deck, making it perfect for large family gatherings. The master suite along with two other spacious bedrooms and a full bathroom complete the upstairs. A full, unfinished basement and an enormous back deck are two unique features of this home. 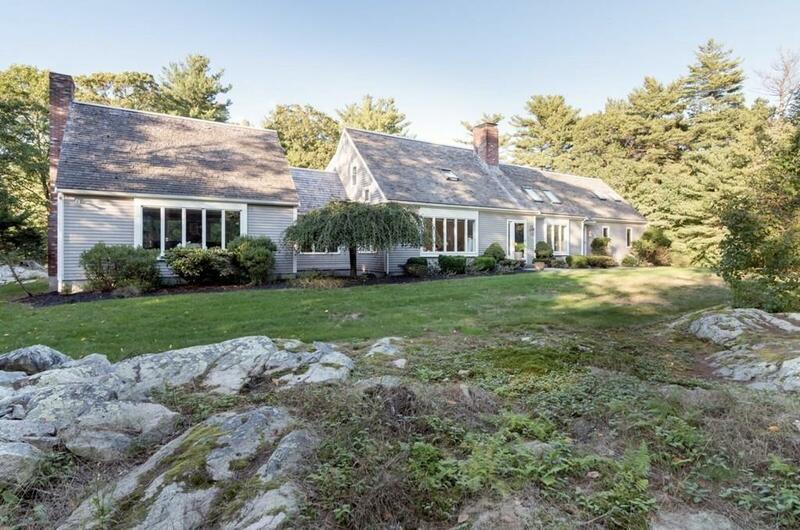 Along with a 2 car garage, a 4 bedroom septic, being only a mile away from the Commuter rail and a quick walk to Black Rock Beach makes this the ideal property for living and entertaining.